Optimism is alive in a new generation of environmentally aware and astute African American young people who “get it.” Over the past four years 40,000 pounds of trash has been removed from Washington DC’s Anacostia River by young, local African American residents. They understand how the forces of gentrification, income disparity, and environmental issues have converged. As the youth of DC’s Wards seven and eight restore the Anacostia River they also “re-story” its reputation, reminding residents of how vital the waterway is to the life of the community. They demonstrate that African American involvement in long-term, in-the-trenches environmental movements can happen when the doorways in are culturally relevant, and people of color are calling the shots. Their history-centered environmental work may also represent a way for Anacostia to sustain a flickering pilot light of African American culture as gentrification sweeps through their neighborhoods. Mentored for nearly a decade by elder Dennis Chestnut, Groundwork Anacostia River DC (Groundwork) Founder and Executive Director, young people have cultivated a sense of place that is anchored in their cultural history and the natural world -- most especially in connection with the Anacostia River in Southeast Washington DC.. Environmentally conscious and grounded in a deep appreciation of their local heritage, young adults of color, raised in Anacostia, are better equipped than most to mitigate the inevitable gentrification on the horizon for Southeast DC. White progressive environmental movements find it difficult to attract and retain significant numbers of African Americans for the long haul type of community resilience-building work. 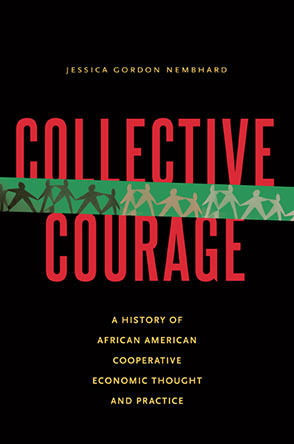 Yet, organizations such as Groundwork, founded and guided by African American community members in 2008, have mastered a pathway to deep engagement. Groundwork typifies the prerequisites for sustained African American involvement: jobs, authentic emergence of programming from the community, compelling cultural relevance, and -- most especially -- African American project governance. Groundwork has implemented a strategy that “makes a way out of no way” and may safeguard the remnants of local heritage when confronted by billionaire developers whose game plans are firmly in place. It wasn’t that long ago that there were no street maps for the neighborhoods east of the river. “Wards seven and eight were a just a ‘blob’ on the map where Black people lived,” remarks Dennis Chestnut. Often disparaged and previously invisible, wards 7 and 8 are separated by the Anacostia River from the whiter areas of the nation’s capital. Everything east of the river was an unknown world off unto itself, and unexplored by most Washingtonians. The story of Southeast DC’s marginalization and isolation is epic. The area’s economic depression reached a demoralizing low in 2011 when Ward eight staggered under the pain of the highest unemployment rate in the nation which reached 25.2% that year. DC’s more recent economic recovery has been scarcely felt east of the river. Four miles from the White House in Ward 8 the poverty rate reached 35% by 2013 compared with 18.9 percent for rest of the city according to the Urban Institute, citing the Census Bureau’s American Community Survey. While Poverty subsequently declined from 22-12% in Wards 1, 5 and 6, in Wards 7 and 8 one-third of the population was still living in poverty. The 2014 Survey reports that overall DC poverty crept down to 17.7%. But the fact remains that 75% of the people living in poverty in the District are African-American, and most of that number live east of the River. Now that local residents are definitively losing their financial toehold, Anacostia has become the final frontier for real estate development in an otherwise fully built-out Washington DC. It is Groundwork’s hope that local development can be appreciably impacted by the tangible environmental work and coming of age of cadre after cadre of home-grown Anacostia youth who have moved through the ranks of the organization’s training programs. Groundwork has heavily and strategically invested in human capital over the years pioneering Green Teams, an Urban Archeology Corps, and wildlife environmental programming.. Allied with the recent influx of highly educated, politically savvy African American millennials, these young adults and the ongoing legacy of Groundwork Anacostia, might be an antidote to the cultural erosion of gentrification. A few years ago, drug dealers instantly swarmed the car when Dennis Chestnut pulled up in front of Jabari Brew’s home to give him a ride to a tree planting. Appearing at a second-story window, Jabari shouted down to the young men in the street, “He’s not here for that, back off.” Like many youth who find their way into Groundwork programs, Jabari’s mom had asked Dennis Chestnut to take her son under his wing and find him a job. Jabari, who has since led Groundwork student Green Teams, is now restoring the Washington DC tree canopy, employed by Casey Trees. He chose to connect with nature and not the streets. Jonathon Fennell, an Anacostia native son and Green Team leader was sent by Groundwork to work in Yellowstone National Park as part of the Student Conservation Association. Jonathan went on to earn a degree in Geology from the University of Pittsburgh and now works for the US Bureau of Land Management. Chestnut has long held a vision for neighborhood revitalization that anticipated gentrification. He has seen local youth through to environmental careers which safeguard nature and the Anacostia River. Their knowledge of land trust management and the politics of historical site districting enhances the possibility that the community might hang on to some of its cultural dignity and character in the wake of gentrification. such as: iconic abolitionist Frederick Douglass, champion of Black women's autonomy Nannie Helen Boroughs, historian and journalist Carter G. Woodson and legendary musician Marvin Gaye. A local park that Groundwork was instrumental in creating now bears Gaye's name. Dennis Chestnut recently attended a dinner party at the home of a young African American couple who were new to ward eight. They had invited friends and neighbors to learn from Dennis about the area’s history. A lifetime resident of Anacostia, Dennis was aware that the exquisitely renovated home in which he was dining had once been a notorious drug den. At one point during his talk he asked the guests to indicate by a show of hands how many people in the room had graduate or postgraduate degrees. The majority of hands in the room went up. “This was tolerable gentrification” he thought to himself. Although the unstoppable demographic shift would cause suffering among those priced out of the neighborhood, at least the thread of cultural contact would be maintained. He began his Anacostia chronicle in an era when a ward "East of the river" was the only place in Washington DC where a Black PhD was permitted to live. This was a time when his pediatrician, Dr. Nelson lived nearby and visited Dennis at home when he had chicken pox as a child. Anacostia’s children were deeply cared for and collectively raised by the entire community. The story wended through the drug saturated 90s when the group assembled wouldn’t have dared come near the house in which they were meeting that evening. Recounting how Groundwork Anacostia River DC had systematically planted the seeds of Black autonomy in the minds and hearts of ward seven and eight youth over the years, Chestnut welcomed the group of highly educated, African American young adults to his neighborhood. Unlike Dr. Nelson, they had had a choice of neighborhoods when they decided to move to Anacostia. He encouraged them to join forces with the new wave of Anacostia-grown African American environmentalists to safeguard both the environment and the ward’s Black heritage. Gentrification is well under way and inevitable. There is however a generation of African American millennials who are conditioning its impact on the communities that they love. Pamela Boyce Simms currently convenes a six-state Mid-Atlantic environmental activist network that encompasses New York, Newark, NJ, Philadelphia, Wilmington, Baltimore, and Washington DC; a coastal megacity corridor that is particularly climate change-vulnerable.